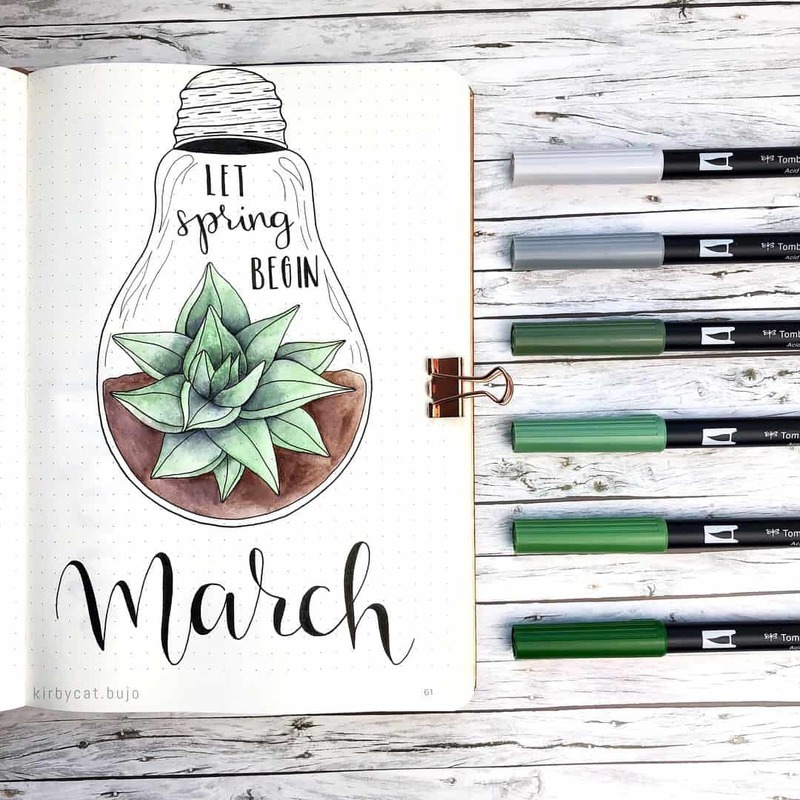 Bullet Journal March Cover Pages You'll Want to Steal! 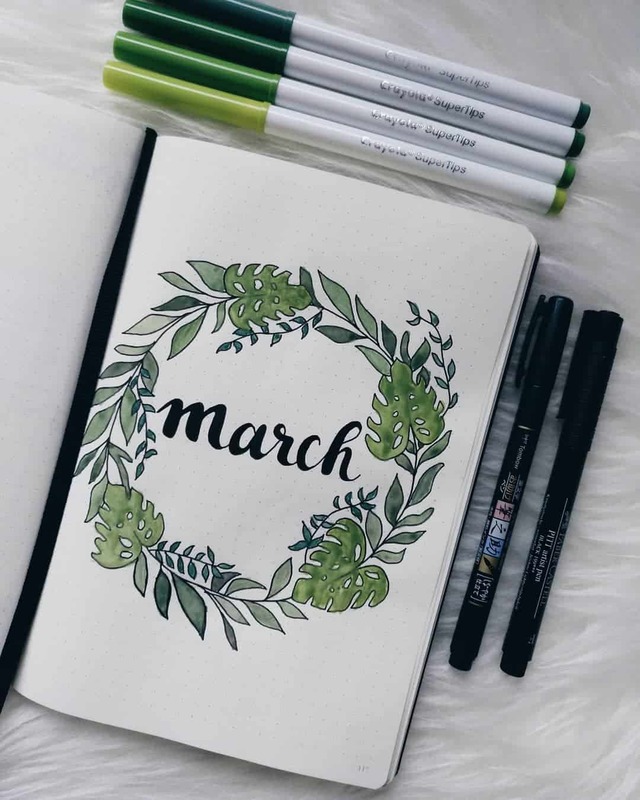 Home > Bullet Journal > Bullet Journal Cover Page Ideas > Bullet Journal March Cover Pages You’ll Want to Steal! Spring is on it’s way so it’s time to break out the floral colours and start doodling leaves and plants. 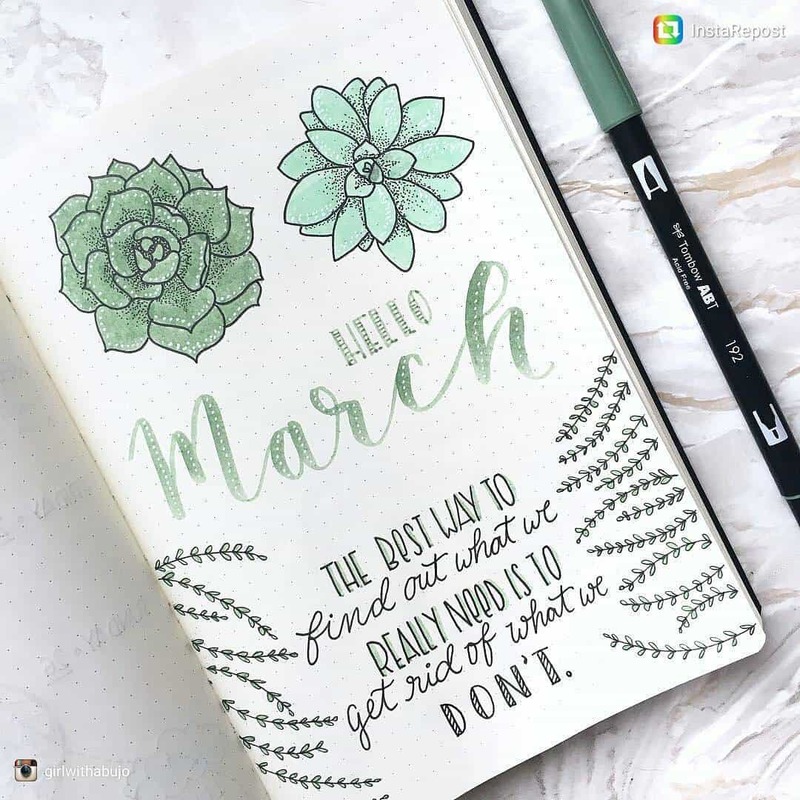 If you need some inspiration for your Bullet Journal March cover page we’ve got it right here! It’s hard to believe that Spring is on its way when many of us are up to our ears in snow. 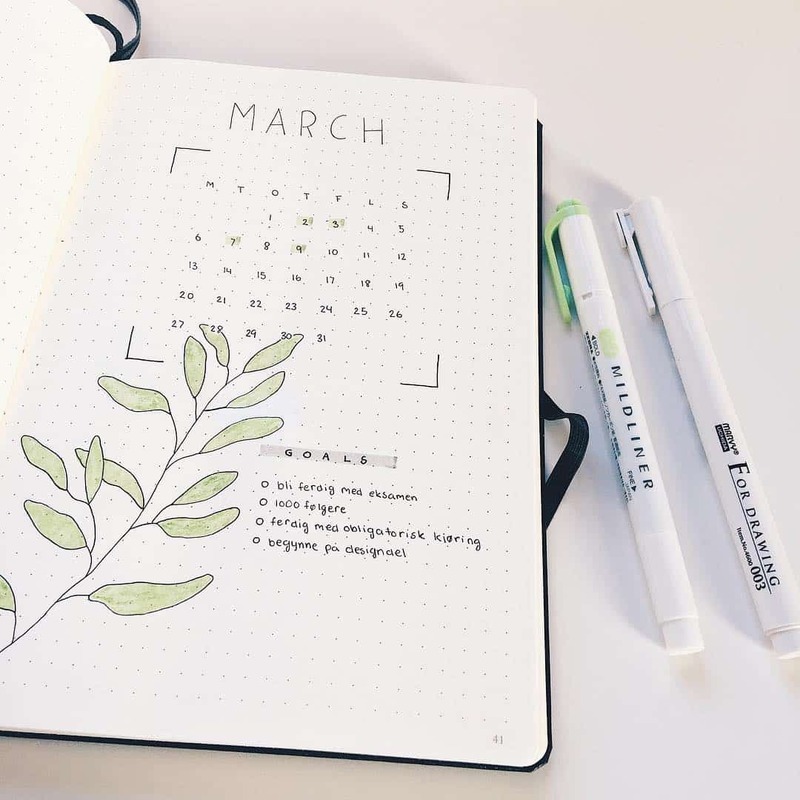 But a snow day is a good excuse to get your BuJo all set up for the month ahead. 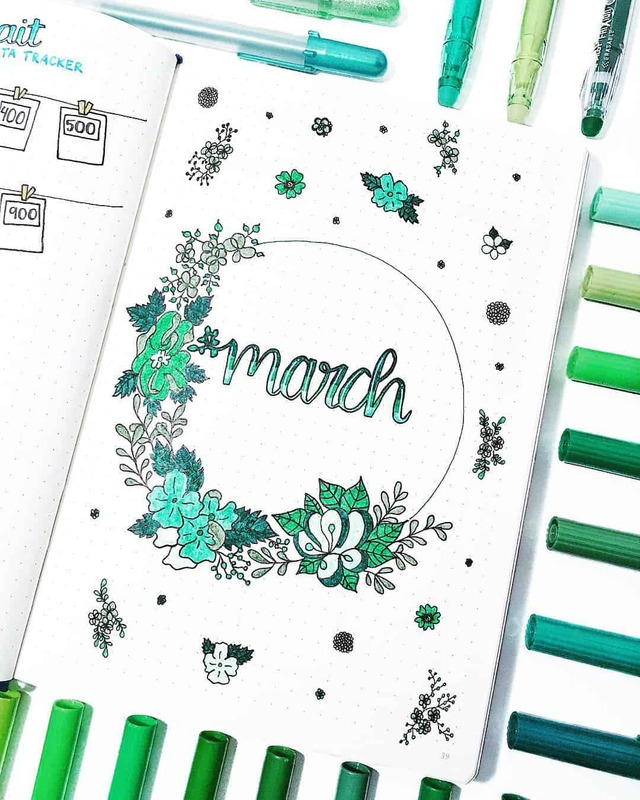 Today we’re sharing some amazing inspiration for your Bullet Journal March cover page. And this month why not test out some new collection ideas that you haven’t tried before. Grab your supplies, and happy planning! 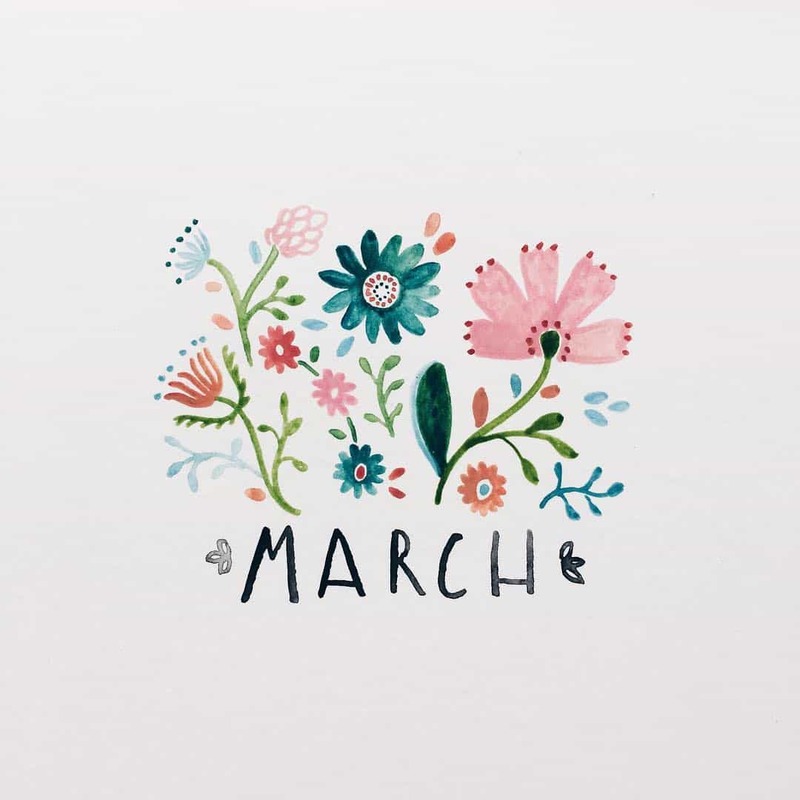 Loving the spring wreath look to this March cover page, and the flowers scattered around. 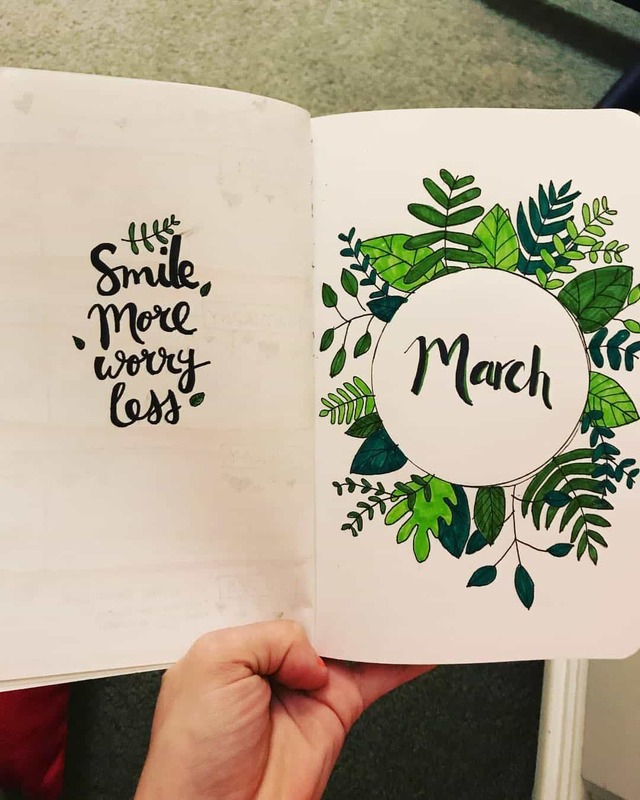 Why not use two pages for your cover page spread and include a quote to motivate you through the month? 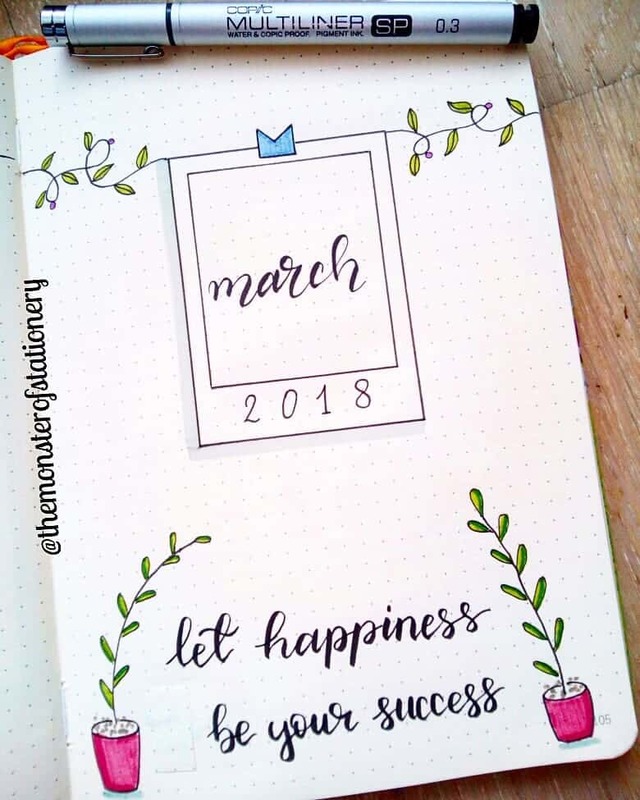 If you feel the urge to go back to basics and create something simple for your March cover page take a look at this one. Just a simple line drawing is all it takes. Oh and I love the addition of the torn brown paper to add some texture. Here’s another wreath style illustration, that looks pointedly different from the other one. Which goes to show you can be inspired by someone else’s design and still make something your own. Here’s another idea for a simple cover page layout. The splash of pink is a lovely addition to the page, which makes me think of Spring. If you don’t feel confident enough in your drawing skills you can still bring your March cover page to life with stickers instead. There are some beautiful ones to choose from over on Etsy. 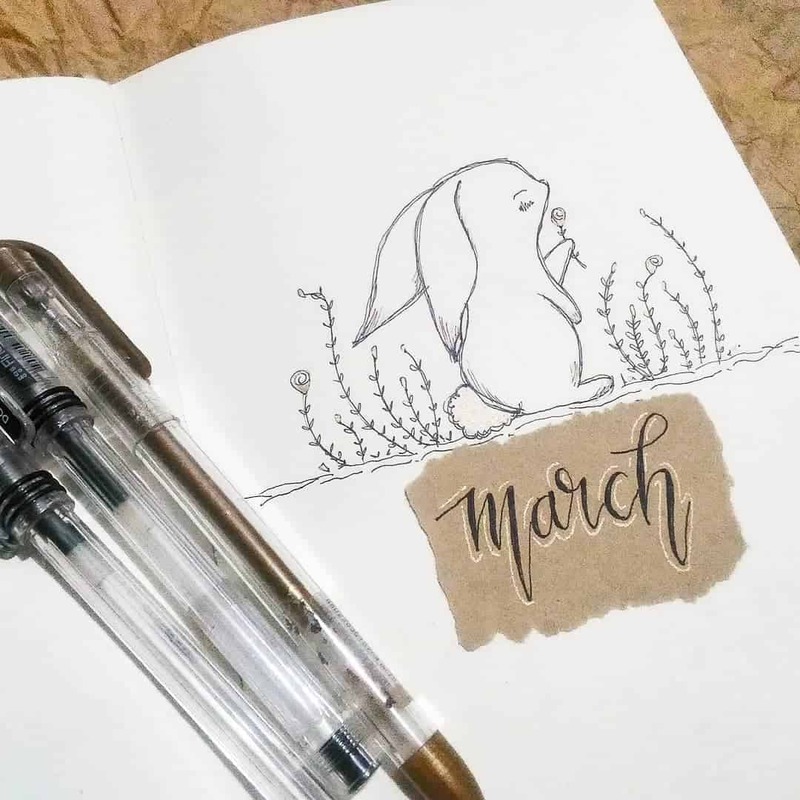 If you love to watercolour in your Bullet Journal take a look at this delicate cover page idea, which has a boho feeling to it. 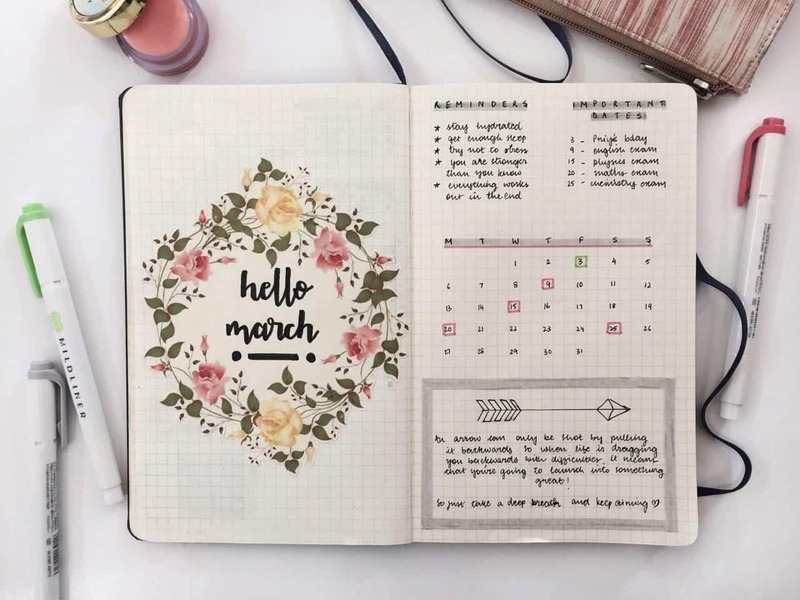 I love how this cover page spread includes the calendar dates for the month as well as a place to record your goals. I love the lettering on this one, it’s something I need to practice. Great quote too!